you're not really treating your diabetes. Type 1 diabetes used to be called "juvenile diabetes" because it generally affects younger people. Type 1 diabetics don't produce the insulin they need to use the glucose from food that is essential for all body functioning. Unlike type 2 diabetics, who usually have a lot of insulin, but their body isn't able to use it properly. Different causes- same results. Current opinion is that type 1 diabetes is actually an autoimmune disease (the body destroying itself). Partly because over 80% of type 1 diabetics have islet cell antibodies. These antibodies tell your body to attack and destroy the islet cells of your pancreas, which are responsible for making insulin. If caught early enough, a perfect type 1 diabetes treatment would be to stop the autoimmune response. Unfortunately, by the time diagnosis is made, almost all of the islet cells have been destroyed. So there is no other choice at that point but to inject insulin. Preserving as much of your pancreas as possible still makes a lot of sense though. Even tiny amounts of your own insulin could help keep your blood sugar in normal range as well as reduce your insulin requirements. Could it be that those who have an easier time controlling their glucose levels have more functioning islet cells? More research needs to be done for sure. If type 1 diabetes is an autoimmune disease, then antioxidants are an ideal natural diabetes treatment. Traditionally, autoimmune diseases have been controlled by suppressing your immune system to try to slow the damage. Experience with supplements that provide optimal nutrition as well as high levels of antioxidants has shown that your immune system may need to be corrected rather than suppressed. Although antioxidants actually boost your immune system, they also seem to help it work properly. Obviously it's not "normal" for your body to attack itself. People with autoimmune diseases usually see an improvement in their conditions and a slowing of the progression when they supplement with antioxidants and proper nutrients. Preventing diabetes complications is really the main point of diabetes treatment. People don't usually die from diabetes itself, they die from the problems the disease causes. The #1 killer of diabetics is heart disease, not diabetes. 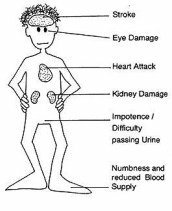 Although type 1 diabetics don't usually have Metabolic Syndrome, the damage from the inflammation caused by high blood sugars is the same. It accelerates the aging process the same way. Of course, making your cells as sensitive to insulin as you can will only improve your diabetes treatment. The benefits of eating a low glycemic diet are a no-brainer- even more important for type 1 diabetics. Of course, insulin remains an integral part of diabetes treatment- it's essential for the body to function and you're not making it. Nuff said. But it is only part of proper treatment- not the only treatment, which is unfortunately the case with most diabetics. All doctors would agree that proper diet and exercise would help diabetics. What they don't stress to their patients (partly because many of them don't realize) is that diet and exercise are actually the BEST defense against the killer complications from the disease. There are many nutrients that improve your sensitivity to insulin. I'm not going to list them all here, but what I will tell you is that it's pretty much impossible to get the amount of antioxidants and nutrients you need to prevent diabetes complications from diet alone. You need to take a supplement to get the amounts you need. If you haven't already read my page on antioxidant supplements, let me tell you that you need to be extremely careful in your choice of supplement. The fact is that MOST of what's available is completely useless and a total waste of money. Please don't underestimate the power of these recommendations. They are based on over 12 years of experience with actual patients. 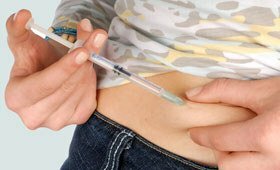 Many people are able to decrease their insulin requirements. One man actually reversed the disease itself, and is no longer diabetic! Absolutely unheard of! At the very least, you are reducing the oxidative stress that causes the damage to your body. 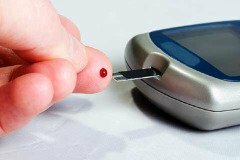 And remember that preventing diabetic complications is the most important thing you can do- following my recommendations for natural diabetes treatment is the most effective way to do that. Just take a few seconds to fill in this form and you will receive the information within minutes. And don't worry... your information will never EVER be seen by anyone except little old me to get you the information. I hate spam just as much as you!